All week, Monday-Friday, March 5-9, school districts across the country will be celebrating healthy breakfast food for National School Breakfast Week. 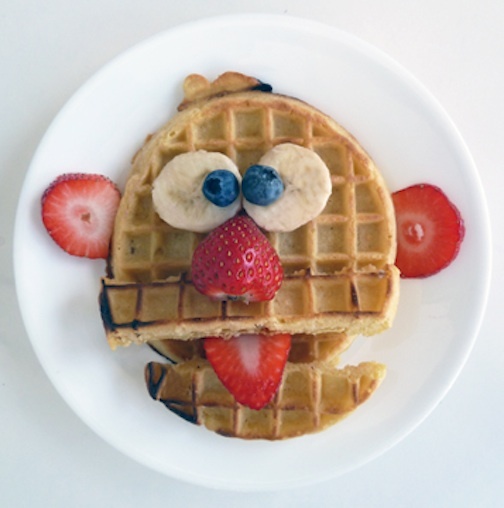 The purpose of National Breakfast Week is to build awareness of the US Department of Agriculture's breakfast program and encourage children to eat a healthy breakfast so they can perform at their best in school. Not only is a healthy breakfast tasty, but it can also be fun. 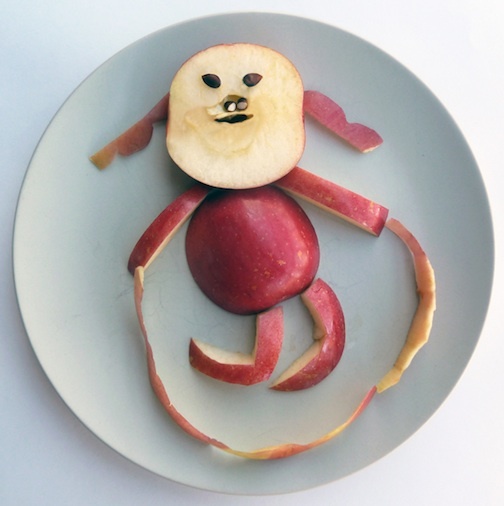 What better way to engage children with learning about nutrition than making easy-to-design funny faces, animals, toys and other characters out of breakfast food the way Bill Wurtzel, food artist and jazz guitarist, does? Part of Bill's plan is not only to help children use their imaginations and play with their food in creative ways but also provide encouragement for parents and teachers to offer a variety of healthy proteins, grains, fruits, vegetables, nuts, dairy and oils to teach children about balance. 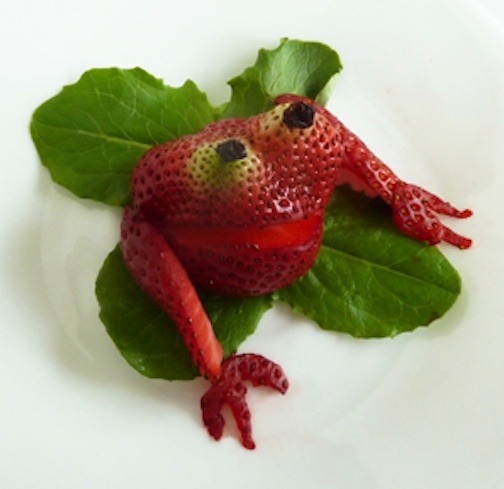 The best part, when children are all done playing with their food (and taking a photo), is watching them devour what they make. Schools breakfast can be found on school buses, on kiosks and carts, in classrooms and, of course, in cafeterias. 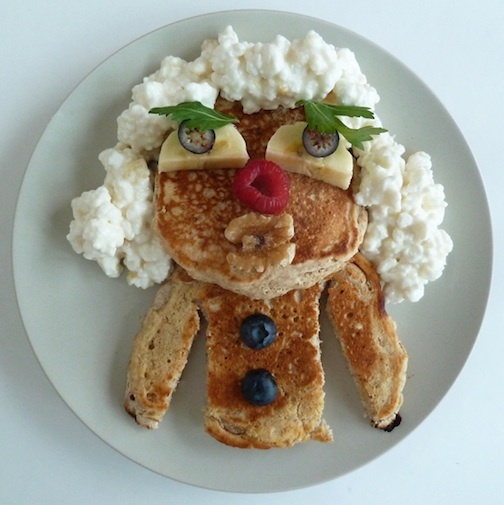 With Funny Food, now you can find fun and silly breakfasts in art, photo and video studios too. 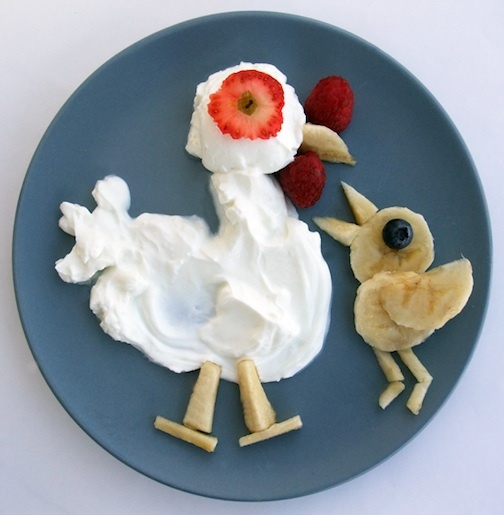 Research shows that children who eat a healthy and balanced breakfast are less likely to overeat later in the day which can be the difference between being overweight (or obese) and achieving a healthy weight. Not only is a balanced breakfast part of a healthy lifestyle, but so is physical activity like jumping rope or playing sports. According to Michelle Obama's Lets Move! campaign, children need 60 minutes of moderate to rigorous activity every day to build lean muscle, reduce fat and build strong bones and joints. 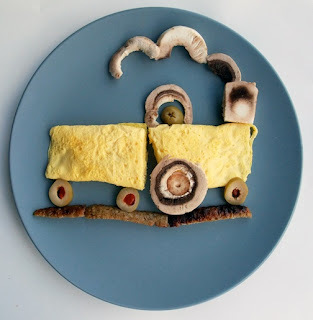 Happy National School Breakfast Week. What a great way to start the day. Visit the Funny Food Website and Select "Workshop Materials"